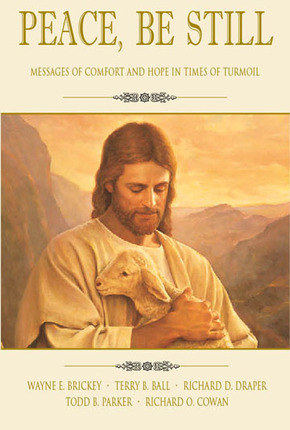 Peace, Be Still is a five-chapter compilation by five distinguished authors who each discuss the message of peace, hope, and comfort that can be found in the scriptures. Terry Ball focuses on the message of hope in Isaiah; Richard Draper focuses on the message of hope in the book of Revelation; Todd Parker gives a Book of Mormon perspective; and Richard Cowan gives a Doctrine and Covenants perspective. After earning his doctorate in history at Stanford University in 1961, RICHARD O. COWAN taught Church history at Brigham Young University for fifty-three years. His research focused on Latter-day Saint history during the twentieth century. He has authored more than a dozen books related to this topic. Wayne E. Brickey has spent more than thirty years as a teacher and curriculum writer in the Church Educational System, a lecturer at Education Week and Know Your Religion gatherings, and a tour guide to various Church history, Holy Land, and Central American sites. Brother Brickey, the author of Making Sense of Suffering. and the co- author of Peace, Be Still, holds a doctor's degree in educational philosophy from Brigham Young University. He and his wife, Joanne, live in Orem, Utah. They are the parents of twelve children. Terry Ball is a professor of ancient scripture and the dean of Religious Education at Brigham Young University. Brother Ball is a widely-recognized expert on the writings of Isaiah. He has taught and traveled extensively in the Holy Land, including teaching at the BYU Jerusalem Center. He holds three degrees from BYU, including a PhD in Archaeobotany. He and his wife, DeAnna, have six children.